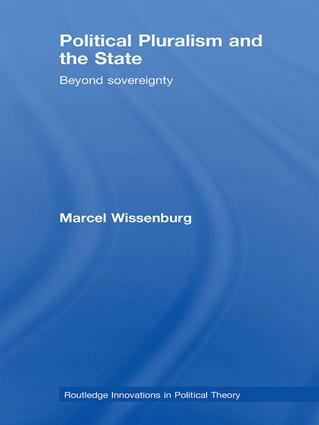 The concept of a sovereign nation-state is a central part in many of the debates discussing the salient issues in political science today. Yet the debate on the state is fragmented and while the sub-disciplines within political science address the various possible consequences of different processes, the one thing they all share is uncertainty about the future shape and role of the state. Political Pluralism and the State is the first work in political theory to bring together IR, comparative politics and political theory approaches to analyze the post-sovereign state and develop a new interpretative scheme for social and political scientists. A scheme that takes account not only of the fragmentation of the polity but also of the often ignored concurrent fragmentation of society. The book seeks to understand and interpret political pluralization as an expression of the continuous processes of cooperation and secession that define politics and legitimize institutions. It develops an alternative, sovereignty-free conception of the ‘polis’ sensitive to these unavoidable processes, and assesses the viability of liberal-democratic ideals in a radically pluralized world. This book will be of interest to students and scholars in philosophy, politics, political economy, international relations, sociology and other social sciences.